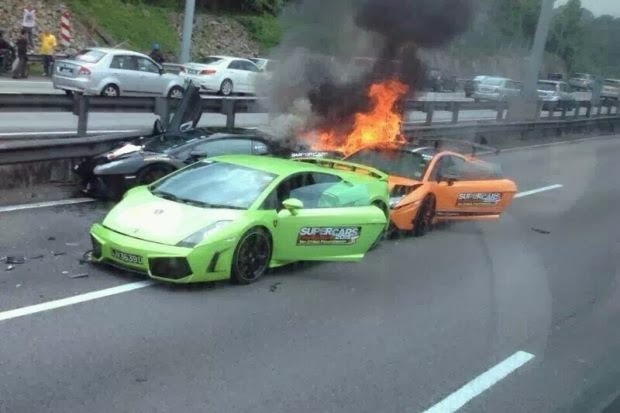 SEREMBAN: Three Lamborghini cars were burnt in an accident earlier this morning at Kilometre 259 north bound on the North-South Highway near here. It is learnt that all three cars belonged to Singaporean nationals who were in a convoy of five cars heading to Kuala Lumpur. A source from the Fire and Safety Department said that no one was hurt as all drivers and passengers managed to escape from the cars.